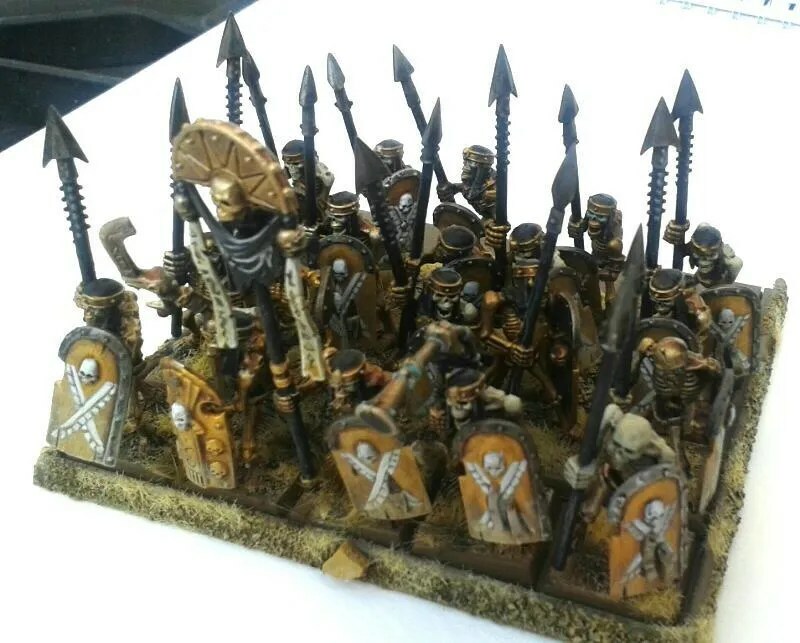 I’ve just finished another End Times Tomb Kings regiment – the Golden Host of Mahrak. 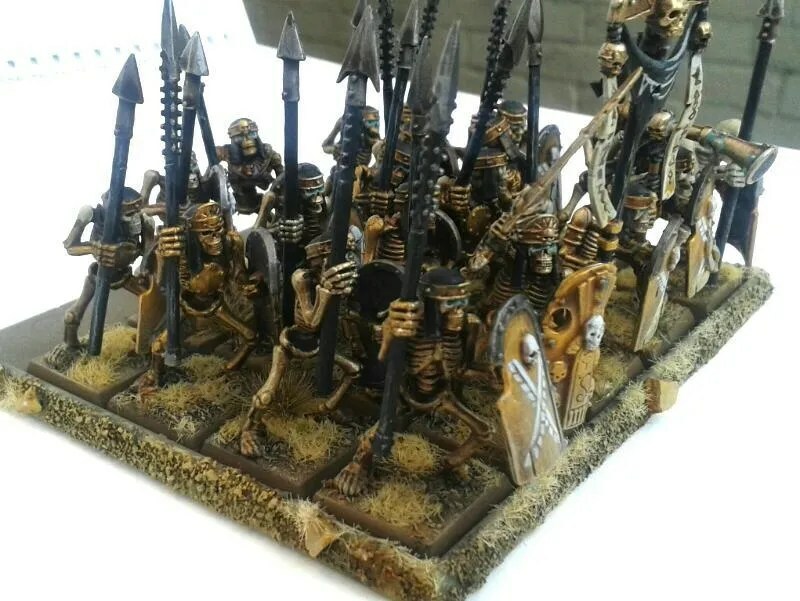 After being cursed to eternal undeath and being from a prosperous and ostentatious city their skeleton warriors marched through pools of molten gold. Most of the warriors have been painted head to toe in gold although some bone still shows where the skellie didn’t get fully submerged. Spears and headrests painted black fir contrast sake. 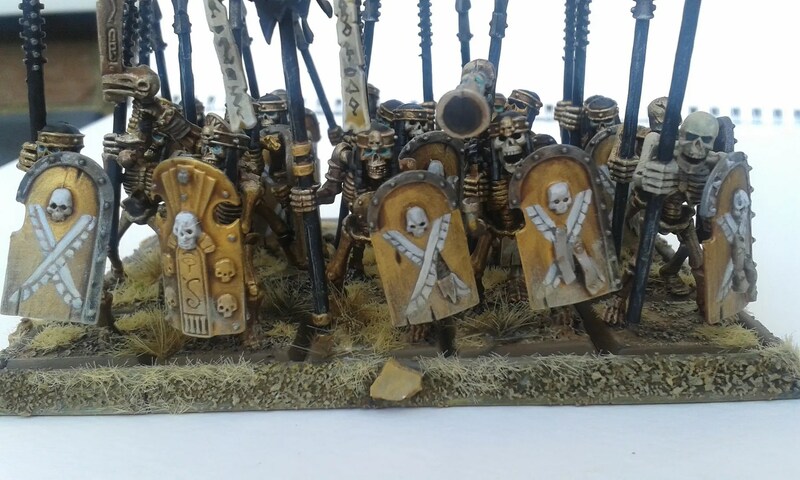 The freehand shields took a while but I am happy with them. I should have another regiment with you soon….ish. Here’s the Brigands I mentioned, that I had intended on painting this week. 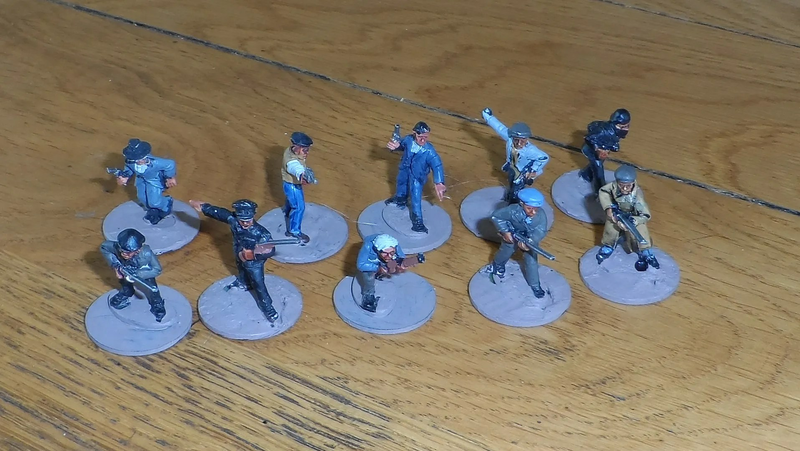 As you can see at various stages I have started painting them and then stopped, and then stored them badly resulting in some of the paint work being chipped. They’ve been stored in a rolled up newspaper for the last few months, so I am keen to finish them off, store them properly and get rid of another pile of half finished stuff ! the first unit, as Brigands they don’t have much in the way of proper weapons (yet). So these guys are armed with shotguns and pistols. A variety of minituares from Musketeer (now Footsore), and Mutton Chop (now part of Empress). the command squad – The Boss – clearly modelled on The Boss in the film: “Things to come”. His standard bearer, political office (Mack the Knife), and an LMG. Also shown are two bombers to deal with any armoured vehicles they encounter. So far they haven’t got any armoured vehicles of their own. 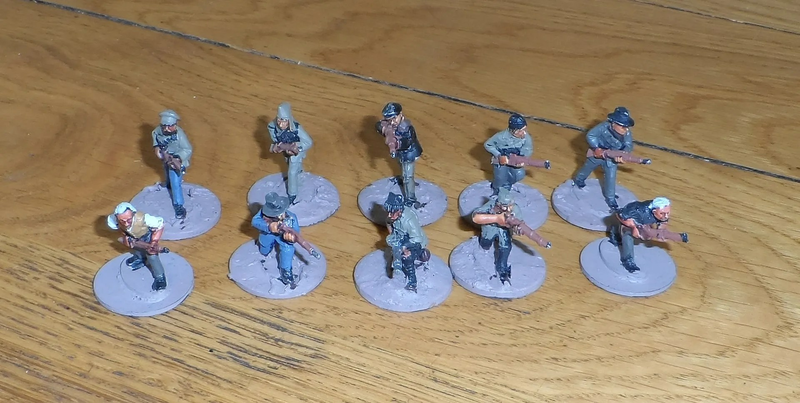 The second squad, armed with rifles and even their own LMG. So about 25 models in total. I enbvisgaed them as a small adjunct to normal forces driven by ned to hire them as mercenaries. In the background fluff, they’ll be based in Drugger’s End out at Castlemorton which is where JP and I set our first game several years ago. Hopefully some updates as I weild small brushes. 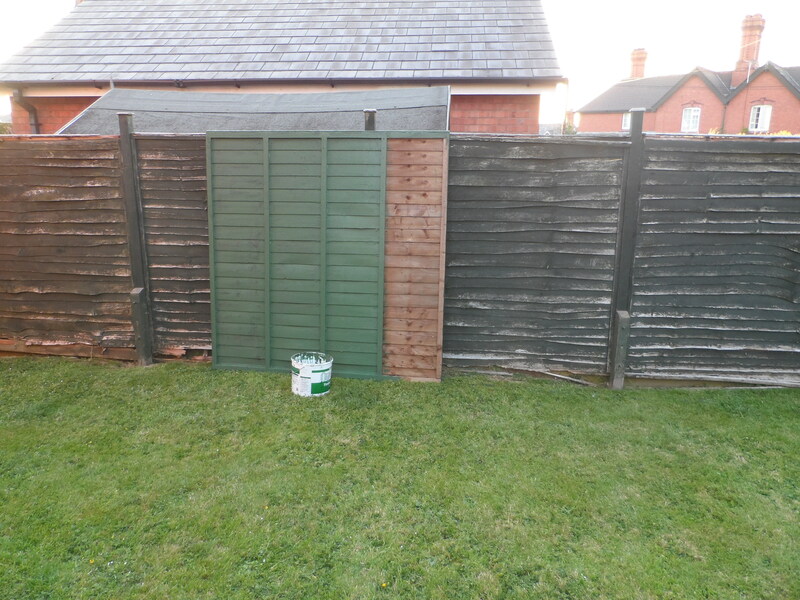 In the mean time big brushes are being wielded with two fence panels painted (both sides) and all the post caps done, plus tops and bottoms of other fence panels. Rather annoyingly, I had hoped to be painting the Weasely Wretches and the assorted Brigands I have piled up for AVBCW. 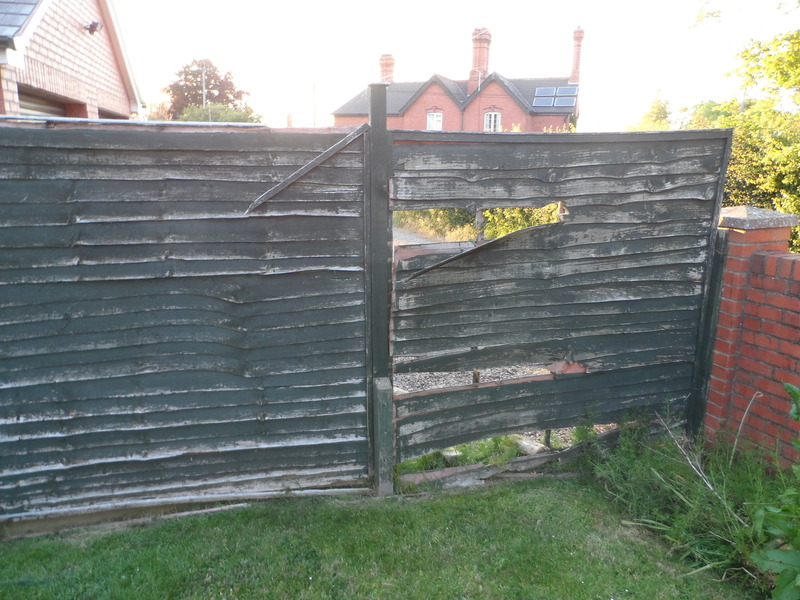 Fifteen years worth of sun, wind and rain in an esxposed situation has compeltely trashed one of my fence lines, so I am having it rebuilt for me by Rob my gardener on Saturday. Unfortunately, I have to paint it all green before then. 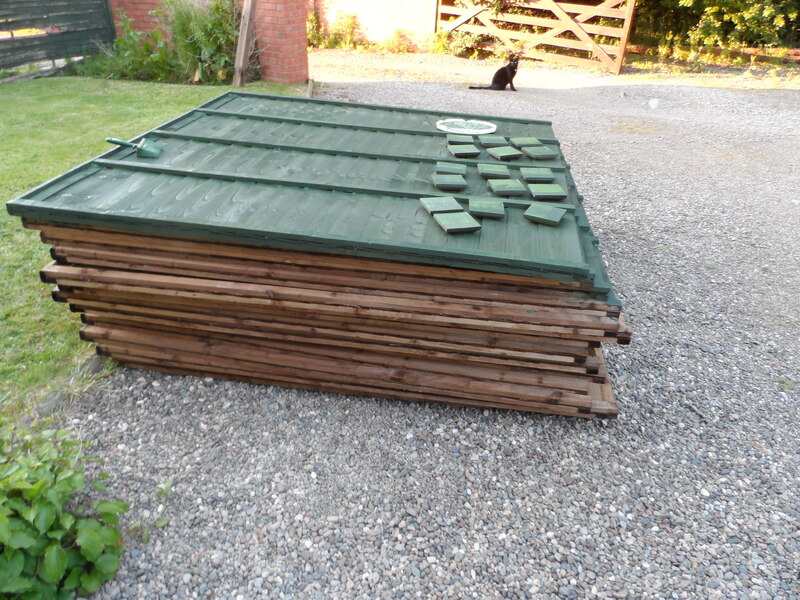 So that’s 90 foots worth of fence, both sides, or rather 180 foots worth of fence panelling to paint. I started today. Small things like training courses for the Parish Council Chair also intrude into my deadline. Not that the Cats are interested oh no. 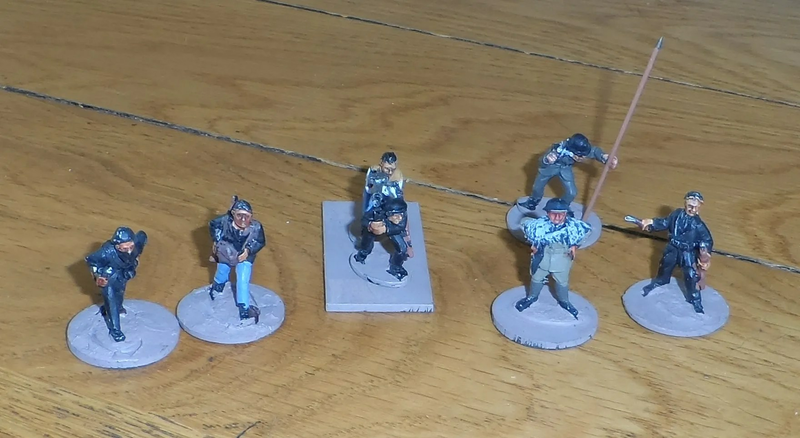 Anyhow, in between getting all that lot painted an no I am not using a OOO brush, I’ll start on the Weasely Wrretches and other Brigands – too late tonight for a photo for this figures that have been half /base painted for some time. It’s about time I did some more figure painting ! 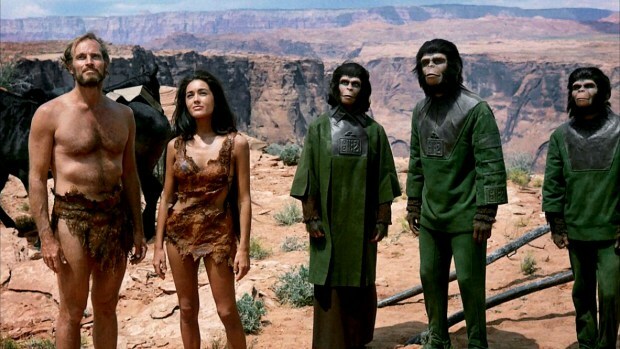 When a Kinglet in Lellow, I watched the original 1968 version of the Planet of the Apes films with Charlton Heston which was ok.
I’ve seen part of the remake by Tim Burton, and then at the weekend, I saw bought the latest remake. As it wasn’t my favourite ever film. So it was a good job it was £5, and was a double pack of both “Rise of the Planet of Apes”, and “Dawn of the Planet of the Apes”. Yup, £5 for two DVDs – there is an upside to not spending £150 on a TV licence – you can buy a heck of a lot of DVDs. Especially at rock bottom prices from Tescos and Amazon. So with low expectations, and a high pile of ironing to do I let rip over the weekend. So Rise of the…. 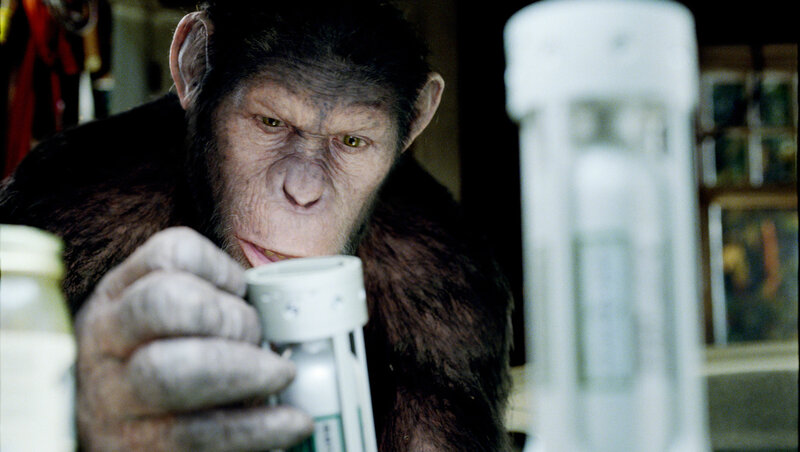 humans doing some dodgy genetic manipulation of chimps, fine so far… but then their key female chimp goes beserk and trashes the place. Hello ? Have you heard of reinforced mesh glass ? Not impressed. And then to top it all, they find that she’d been protecting her infant to whom she’d given birth whilst in captivity in close observation by so called experts. Who then proceed to smuggle the infant out with little thought of quarantine protocols etc. Moving onwards however, the rest of the film is much more believable (as much as any sci-fi movie is), with us tracking Ceasar (the infant chimp’s) progress, and the mental deterioration of the main researcher’s (name omitted its so memorable) father played by John Lithglow. This is done very well, and Ceasar’s attachment to the father, forms a significant plot role. When the father wanders off due to dementia and is attacked by a neighbour Ceasar goes beserk and ends up being sent to a dodgy Zoo for apes where he’s abused, and then inevitably leads a rebellion. Add in some dodgy plot twists and science where Ceasar manages to steal and use the genetic enhancing drugs, and the ape rebellion starts. 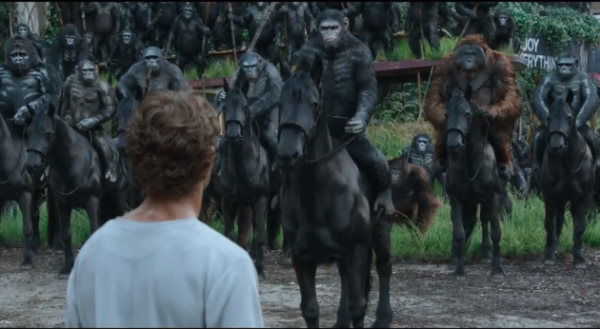 There follows some painful to watch scenes where the apes outwit the witless humans by, err, climbing up things ! 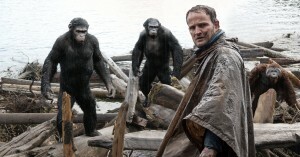 Apes climbing things ? Who’d have thunk it. As a scene setter, the overall plot is good, but the individual scenes and smaller plot lines are painfully rubbish. Still for (effectivey) £2.50 its a nice romp. CGI is flawless and Andy Serkiss’ perfromance also without question great. Having spent half the last week asleep as my body sleeps off a cold that was looming, a quick update before another surprise film review. 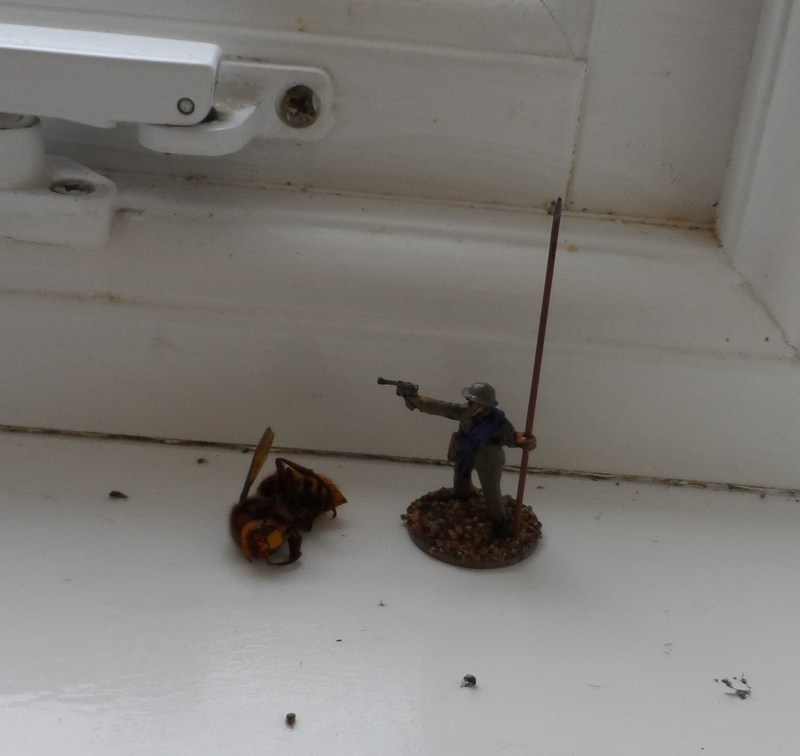 Yup, the day before the last AVBCW game, I heard a loud buzzing and a smack of an insect against the utility room window, so went to investigate expecting to have to free a Fumble Bee. Instead I found an inch and a half long Hornet getting angry. Half a can of insect killer later it DIED. I posed this 28mm figure next to it to give some idea of the size of this one ! 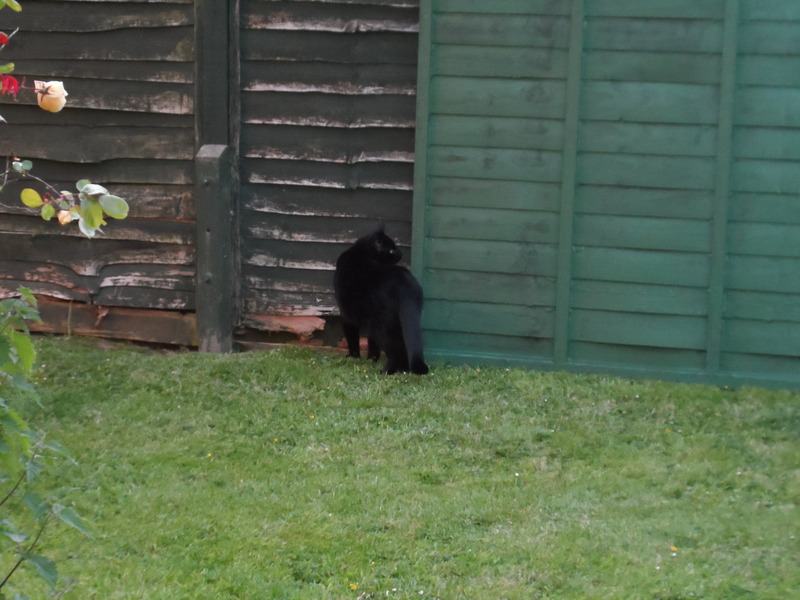 Not welcome – even less welcome than Timmy cat. On the upside, JP has now got his act together and given a highly fictious account of the game which can be seen here. I bought the DVD of this when it first came out over a month ago, and have watched it four times now, and been preparing this review for some time. The film opens with Smaug’s attack on Lake Town. There is no preamble, and no explanation. If you have not seen (and remembered) the ending of the Desolation of Smaug, then you’re not going to be up to speed as to what is going on. Bard, his family and Tauriel are all well played. Bard using the Black Arrow to shoot Smaug. Downside – why and how does he spot Smaug’s weak spot on the dragon’s underside ? Where is the thrush as in the book, whispering this litle secret in his ear ? A missed opportunity. The oily Mastern of Laketown gets his just rewards – a little too quickly, and Alfrid his sidekick gets to survive too long, though his utter cowardliness lends a touch of humour – you just know he is going to snivel out of any work. That said, it starts storing up parallels with the LOTR’s Wormtongue. The battle between the White Council (never AFAIK specified in the film), versus the Ringwraiths and Sauron in Dol Guldur is a good if formulaic CGI fest. Did Elrond, Saruman and then Rhagast just turn up on a whim ? Why not make it explicit that its an effort by them to get rid of the Necromancer (and for him to be revealed as Suaron). Meanwhile in the mountain, the scenes where Thorin starts losing the plot, is in keeping with the err…plot ! Bilbo’s indecision is well played, but how come the Elven bowmen didn’t spot Bilbo exiting the mountain to deliver the Arkenstone to Gandalf, Bard and Thranduil ? Maybe there is a scene with him using the ring to escape notice. So the Elves and Dwarves are facing off against each other with The Big Yin voicing the CGI version of Dain on a porker, when up pops Azog and his army that have been transported in secret by rock munching wyrms…which everyone has forgotten about…and don’t seem to be able to burrow into the Lonely Mountain itself (eh?!). 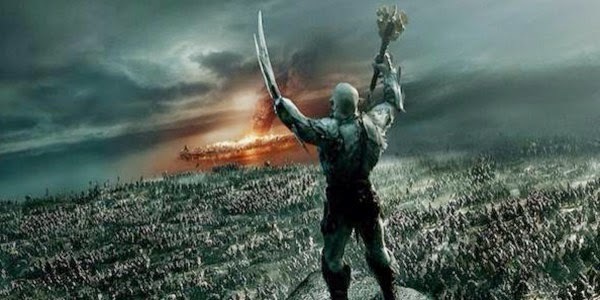 The set piece battle scenes are eerily reminiscent of the LOTR – The Return of the King, especially the bit where the Orcs storm into Dale to massacre the human civilians. This is boring, even if there are some nice set piece scenes. Thorin finally decides he has a pair, and leads an attack out of the mountin as per the book, but then sets off on an assaination quest to kill Azog. This has lots of worthy scenes but is overly long, and ends in Thorin’s death not totally in keeping with the book – close enough though. Meanwhile the Eagles and a criminally under represented Beorn turn up and trash the second Orc army that has done a march faster than a bunch of British Paras yomping over the Falklands. There is then, a very truncated farewell scene between Bilbo (who he ?) and the survivors of the original company of Dwarves. This is topped off with a much better scene at Bag-End when Bilbo returns to find his belongings being auctioned off. At least the Sackville-Bagginses get a look in. You’ve probably guessed I was not overly impressed with this movie, as it deviated too far from the book and has many plot holes and missed opportunities. As a stand alone film, it really is not good. As an adaptation of the book, it is very wanting. It has many very good scenes with good dialogue, but it has way too much padding, and CGI panoramas that are too reminiscent of LOTR films. Bilbo, and several of the Dwarves in aprticular are under represented in this film. The entirely spurious Tauriel/Fili romance could be excised and make no difference to this film, and make room for some of the more salient points of the plot. As part of the series of films it is good. There are lots of snippets of footage on the ‘net, and pictures from missing scenes that will go someway to filling in the missing bits of this story – so the inevitable extended version of the film will be something I will be looking forward to. 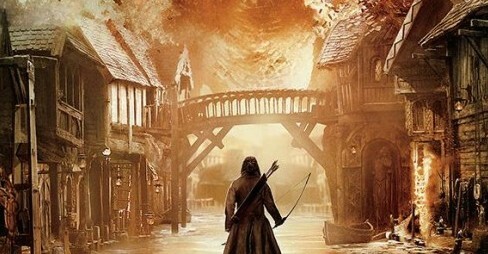 Overall, Jackson has done a good job at bringing Middle-Earth to the silver screen. But you have to put up with a lot of padding in the three Hobbit films which is a shame – so a very qualified positive review.